How do you claim your power? 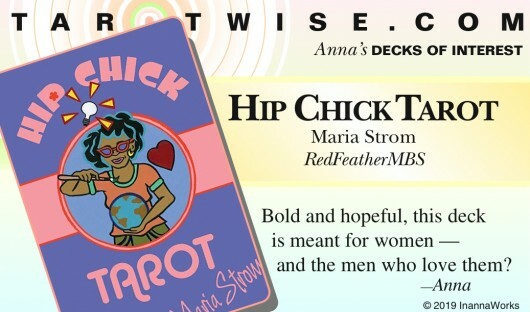 Bold and hopeful, this deck is meant for women — and the men who love them? These are women who come in all shapes, sizes, and colors. They are upfront women who let you know who they are and what they are about. They are painted as icons, simply and vibrantly. The message they bring is clearly tarot (and will be recognizable to seasoned readers) but the delivery is all their own. The accompanying 112-page book explains it all but I recommend just shuffling the deck and diving right in. Let the ladies be your guides. Does the moon speak to you? 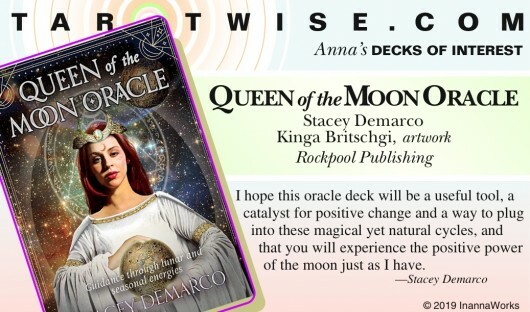 It has always spoken to Stacey Demarco and this spectacular 44-card deck is the result of a lifetime of studying (and loving) the mysterious globe in the sky. Kinga Britschgi’s elegant photographic collages capture the power of the lunar energies. The full-color, 108-page companion book tells readers everything they might want to know about lunar cycles, special moons (Blue Moon, Super Moon), reading the cards, and the traditional metaphysical associations and applications of lunar wisdom. Many people who regularly do believe that they are messages from the divine realms. But how can we know what they are telling us? Even the most intuitive among us sometimes need a little bit of extra insight. 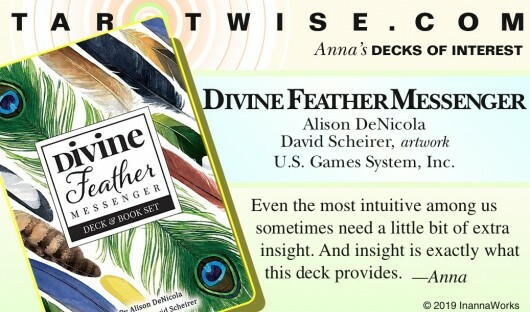 And insight is exactly what this deck provides. Alison DeNicola has selected 44 birds and paired them with affirmations that reflect each bird’s spiritual history and natural correspondences. David Scheirer’s captivating watercolors capture the physical plane essence of each bird in fluid detail. The reverse side of each card shows one enlarged feather from the bird depicted. Do you have a question for the court jester? When power becomes concentrated in the hands of a small group (or single person), the “yes-men” take over. When that happens, smart authoritarians invite a “Wise Fool” into their inner circle to ensure that somebody will speak the truth to them. These court jesters are traditionally given immunity in advance, so that they are free to tell the person in charge that they have become delusional. Roger von Oech has made a career out of being the person who points out the elephant in the room. And quite a successful career it is. This 66-card deck and 96-page guidebook is his latest entry into the “let’s keep it real” arena. The cards are divided into three suits. CONTRARY STRATEGIES cards are designed to challenge groupthink and help readers get in touch with their creative core. CREATIVE STRATEGIES cards are meant to shift readers perspectives and help them look at things with new eyes. CAUTIONARY STRATEGIES cards counsel prudence in an unpredictable world. This is the original, unedited article Anna submitted to Retailing Insight. The Retailing Insight version misrepresents the intention of the original article, presenting it as oppositional rather than a shared journey. What Do Your Customers Really WANT From Card Decks? Most of us are aware that card decks have become increasingly popular over the past decade. Publishers have responded by reprinting classic decks and releasing new decks. The quality of new decks, with regard to both design and content, is incredible. But why are customers buying these decks? When someone walks into your store inquiring about decks, what do they really want and how can you help them find a product that makes them happy? There are as many answers to those questions as there are customers. That’s the magic of card decks. But how can you possibly meet all those customers’ needs, for their benefit and yours? I believe that it’s a process and that it doesn’t lend itself to any one formula. If you want to capitalize on this trend you and your employees are going to need to do some work in order to understand what’s going on here. I think the best way I can be of help is to recount my own personal journey through card decks (specifically tarot decks). Hopefully it will help you and your staff get a better sense of how to connect with that “question mark” that walks into your store with a vague expectation that they’re not quite able to express. I honestly don’t remember what triggered my interest in tarot cards, or even when it happened. 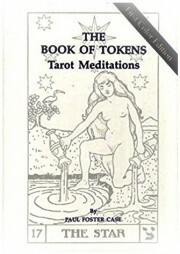 It was some time in the early 70’s, at a time when tarot decks were not all that easy to come by. Because I had worked at New York University on Washington Square while I went to school there, I knew about Weiser’s Occult Bookstore on lower Broadway. When I decided that I must have a deck of tarot cards, that was where I headed. At that point in time, the Rider-Waite deck was the only consistently available deck, but as fate would have it, interest was developing in this almost lost art. 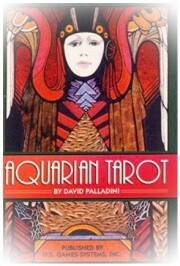 Successful illustrator David Palladini had just created the Aquarian Tarot. 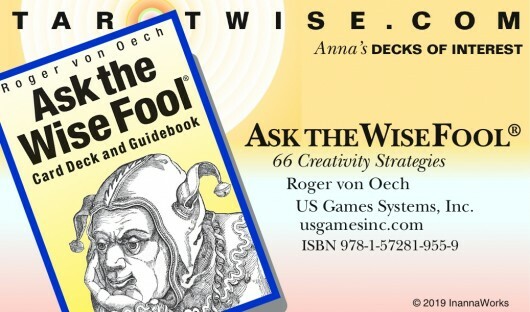 Still in print (U.S. Games Systems), it was and is an amazing interpretation of the ancient wisdom of the tarot. I fell in love with it at first sight. I took the deck home excitedly and sorted through it, using the brief instruction booklet that was included to try and figure out what it all meant. Not long after, I returned to Weiser’s looking for more information on how to use the deck. 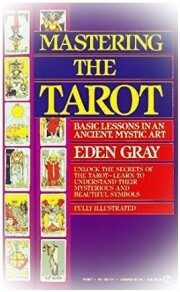 I returned home with a copy of Eden’ Gray’s Mastering the Tarot (Signet). I was beginning to feel empowered. I began doing tarot readings for friends. I used the basic Celtic Cross Spread (illustrated in many tarot decks and books). I had the “querent” (questioner/victim?) pick a court card that they felt represented them. That was “The Significator”. It was placed in the center of the table in front of us. Then I shuffled the deck to rid it of accumulated outside vibrations. Next I asked the querent to shuffle the deck to get their vibrations aligned with it. Then I asked them to cut the deck into three piles, using their left hand, moving to their left. I asked them to repeat this process three times in total. All of this is what I call “The Preparatory Ritual”. Working from the top of the deck, I then turned up cards one at a time to create the tarot spread (layout). The first card was placed on top of “The Significator” and described the situation the querent wanted insight into. The second card was placed horizontally over the first card, describing a secondary aspect of the question at hand, either parallel or in opposition to the first aspect. Next I placed a card to the left. representing influences that had been active and were currently dissipating. This was followed by a card to the right, representing influences that were just beginning to influence the question. Then a card was placed beneath the center cards, representing the foundation of the situation in question. Next a card was placed above the center card to indicate the potential/possible outcomes of the situation. The next four cards were placed to the right of the existing cards, from bottom to top. I always considered these cards to be secondary or explanatory to the spread. The bottom card represented the querent in the situation. 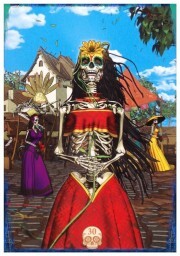 The second card up represented people around the querent, both positive and negative. 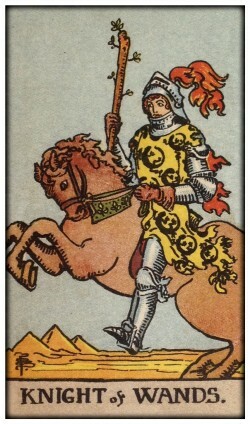 The third card up represented the querent’s ideals or fears with regard to the situation. The top card was an overview of the outcome. Not “the answer” but a description of what the outcome might look like if things continued as they were currently moving. In those early days, I would lay out the spread and read the interpretation of each card from Mastering the Tarot. Once I finished reading, I would sit back and look at the whole picture and try and make some sense of it for the querent. These early attempts at card reading were met with a certain degree of success and I was excited about my prospects as a seerer. Then I had a friend, who had just been married, ask for a reading about the future of her relationship. I went through the process that by now had become familiar, and was horrified as I turned up one negative card after another. There wasn’t a “happy” card in the spread. Rattled, I made an excuse about not understanding what I was seeing, and swiftly removed the cards from sight. The relationship ended in less than six months. This was followed by a few more “inauspicious” layouts which turned out as the cards ”predicted”. I put my cherished Aquarian Tarot in a drawer and told people I was out of the fortune telling business. I did, however, continue to explore metaphysics and eventually I was led to a small Christian Spiritualist church on the west coast of Florida. That area was, for awhile, a hotbed of spiritualism. I discovered it at the tail end of its popularity. I sought out similar groups in Manhattan, which led me back to the tarot and the realization that the tarot images were actually a visual bible intended to pass on esoteric wisdom to those who were ready to understand what they were seeing in the cards. That was when my serious relationship with the tarot began. I bought a Rider-Waite deck (U.S. Games) and a copy of A.E. 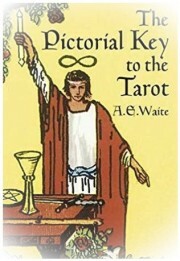 Waite’s The Pictorial Key to The Tarot (Dover Publications). The world that opened up to me changed my life and my career. I realized that events in my life that I had struggled with were steps along the path of an initiate. I continued my studies with Paul Foster Cases’ Book of Tokens (Builders of The Adytum Ltd.). Case taught me that the tarot had correspondences to astrology and Hebrew Kabbalistic teaching. I learned that there were myriad paths to the higher wisdom (which explains the current multitude of tarot decks), each depicting the path of the person who experienced and recorded it. By the early 90’s, metaphysics and the science of spirituality had become the primary focus of my life. I returned to one-on-one consultations and began teaching. 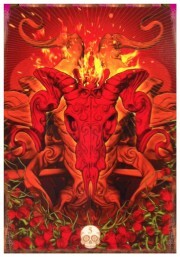 Tarot was becoming a hot topic and I created a series of tarot evenings which discussed one Major Arcana card at a time. 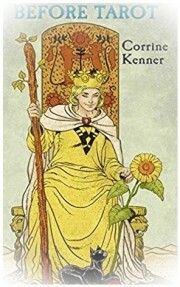 (Traditional tarot is divided into 22 Major Arcana cards, which are always illustrated, and 56 Lesser Arcana cards, divided into four suits, which are sometimes illustrated and sometimes just contain simple formatted designs.) Those first tarot evenings began with a lecture on the established interpretations of the card, followed by a meditation on the card with channeled (information sent from disembodied guides on the Other Side) feedback and discussion. In my search for more background information on the cards, I discovered Meditations on the Tarot (Tarcher)which was written anonymously by a scholarly member of a religious order in Europe. This monk or priest used the imagery for each Major Arcana card as the basis for a lengthy discussion of philosophy, psychology, Western esoteric history, Hebrew Kabbalistic teaching, and Eastern spiritual teaching and practice. It remains an unprecedented compendium of insight into the Major Arcana images and the power that they continue to wield. 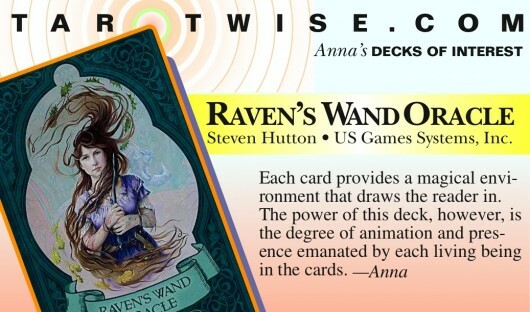 I am grateful to U.S. Games for delving into the substantial input that illustrator Pamela Colman Smith had in helping Waite create his classic deck. 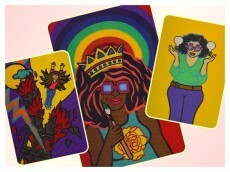 The Borderless Smith-Waite Tarot Deck which U.S. Games recently released highlights Smith’s illustrations, giving them their due. It has become my new go-to deck for all purposes. 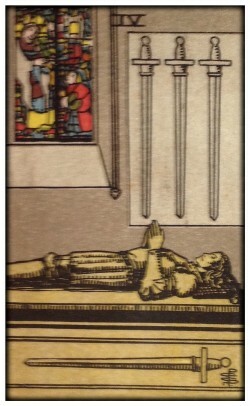 Waite was not alone in his interest in the tarot. 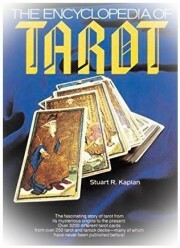 (Stuart Kaplan, of U.S. Games, has documented the roots and history of tarot in unparalleled detail in his four-volume The Encyclopedia of Tarot). The other major figure who has survived the test of time is, of course, Aleister Crowley, The Grand Beast. 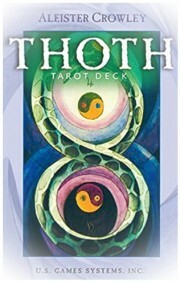 His Thoth Tarot (U.S. Games) continues to be a best seller. I personally feel that Crowley’s images sacrifice substance for theatricality, but you won’t have to look far in order to find someone who disagrees with me. The fact that the deck is sometimes said to contain doorways to the dark side only increases its popularity. In any case, it’s a deck you will want to become familiar with if you are talking to the public about tarot. On a lighter note, major esoteric publisher, Llewellyn has parlayed its solid foundation in the world of all things occult into the creation of innovative, often whimsical, new card decks. Case in point, the Before Tarot and After Tarot decks (Lo Scarabeo/Llewellyn)capture the familiar tarot snapshots just before and just after they were recorded for posterity. It’s a lively discussion starter for group work. It’s also an indication that ancient systems of philosophy only have value if they can capture the attention of the current generation. In the last couple of decades, tarot has increasingly become associated with Carl Jung and the modern therapeutic philosophies that he paved the way for. 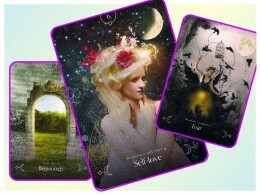 Tarot publishers are now creating product lines that reflect this trend. I’ve read a lot about tarot in the last 50 years and not much that’s being written currently holds my interest for very long. 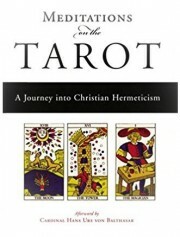 One notable exception is Tarot at a Crossroads (Schiffer Publishing). 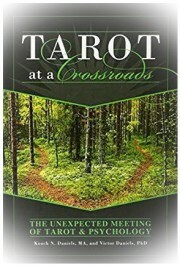 It’s co-written by a therapist and an intuitive specializing in tarot. It presents tarot as a tool for helping people to reclaim their lives, rather than a means for the reader to gain power and status. True shamans are members of their tribe, often living on the edge of the group, but existing to serve the tribe in surviving and adapting. The best tarot readers perform that service, with humility and, when necessary, subservience. The best way you can be of service to your customers is to explore card decks (tarot and otherwise) and to find the meaning that they have for you. 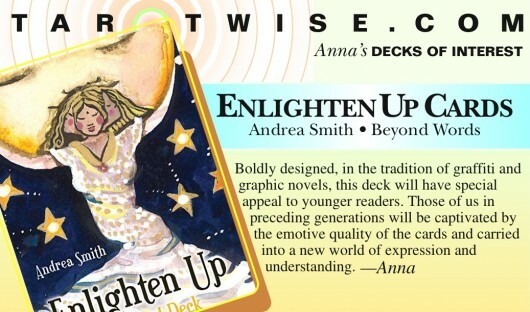 Most of the major mind/body/spirit publishers are publishing card decks now and they are all amazing in their own way. 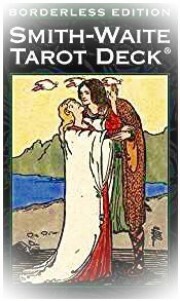 Decks such as The Lunar Nomad Oracle (Weiser Books), Doreen Virtue’s fabulous series of angel decks (Hay House), Shamanic Power Animal Oracle Cards (Findhorn Press), and The Wild Unknown Tarot (HarperElixir) have moved into new territories and broadened the customer base. I suggest that people let their Inner Child pick their card decks for them. Leave the left brain out of it and go with what makes you happy. The Inner Child remembers joy (regardless of how deeply it is buried) and it is joy that ultimately connects us to a Higher Power — and why shouldn’t a box of pretty, intriguing pictures be the path that takes us there. 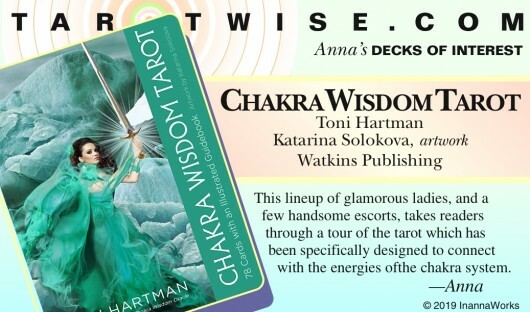 Anna Jedrziewski is a new consciousness author and lecturer and creator of TarotWise.com. Tarot From The Trenches™ posts monthly on TarotWise.com. After days of watching model-thin women shuffling along in 6” spike heels, high-end seductive clothing, and blackened eye makeup reminiscent of the Andy Warhol/Studio 54 days, it was a relief to see Reba McEntire quietly step forward at St. Martin’s in an ankle length black skirt and flat-soled shoes. At the 41st President’s request, she sang The Lord’s Prayer, letting her God-given talent —fastidiously perfected over decades — captivate a global audience without any superficial trappings. My reluctantly-feminist heart took flight. I decided to pull a couple of tarot cards from the Smith-Waite Boderless deck (U.S. Games) to try and get insight in the circumstance and my feelings about it. The first card I pulled was the FOUR of SWORDS. I associate this card with withdrawal and rest. It also crossed my mind immediately that swords often indicate mental activity. Perhaps it is time to stop overthinking feminism and women’s rights. I felt that the message was to turn inward, let the outside world do whatever it needed to do, and let the gains that have been made incubate until the time is right for them to emerge. The second card I pulled was the KNIGHT of WANDS. It’s a card of sudden changes sweeping in unexpectantly. Wands represent energy, passion, and the desire nature. It can be sexual energy. Maybe woman are about to experience a change in the way they factor sexual chemistry into day-to-day activities. We all tend to accept the common wisdom that men are visual creatures, hence the elaborate trappings that most woman accept as common practice. What if women began to make those trappings for private audiences only. What if we were forced to rely on our talents and experience for status and attention in public. What if women stopped competing based on sexuality and forced men to deal with us as three-dimensional entities. Right now, it seems a bit of a stretch, but for two days now we have been hearing about the 73-year-long devotion between George and Barbara Bush. We watched Laura Bush wipe the tears from her eyes as she remained steadfast at her husband’s side while he oversaw the burial of his father. I think the cards are telling me that the seeds have been planted. Just chill and let them grow when and how they’re ready.